Parents play a critical role in preventing their children from using drugs and alcohol. Studies show that by just talking to them, you can cut their chances of substance abuse in half. 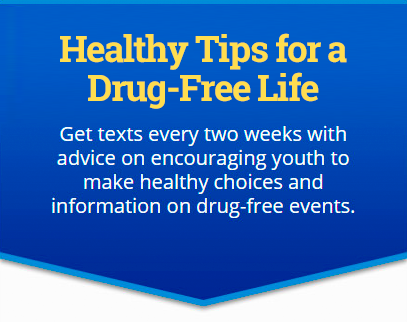 Have a conversation, tell them the facts, and make it clear you don’t approve of drug use. It might not seem like it, but they are listening. The Parent Talk Kit (PDF) includes tips for talking to your children and what to say to prevent drug and alcohol abuse. It is provided by the Partnership for Drug-Free Kids / Medicine Abuse Project. Teachable moments happen all the time. Think about a time when you were watching the news and heard about issues like underage drinking or synthetic marijuana. These real stories happen to real people every day. These stories provide moments to talk with your children about making good life choices. Use the guides below to ensure you’re prepared to discuss these topics when a situation arises. Parents, do you belong to a local coalition in your community? Join Prevention Training Services to get involved reducing substance abuse in your community. Prevention Training Services is a resource for the directory of coalitions in Texas. It also provides workshops, webinars and up-to-date information in substance abuse prevention.